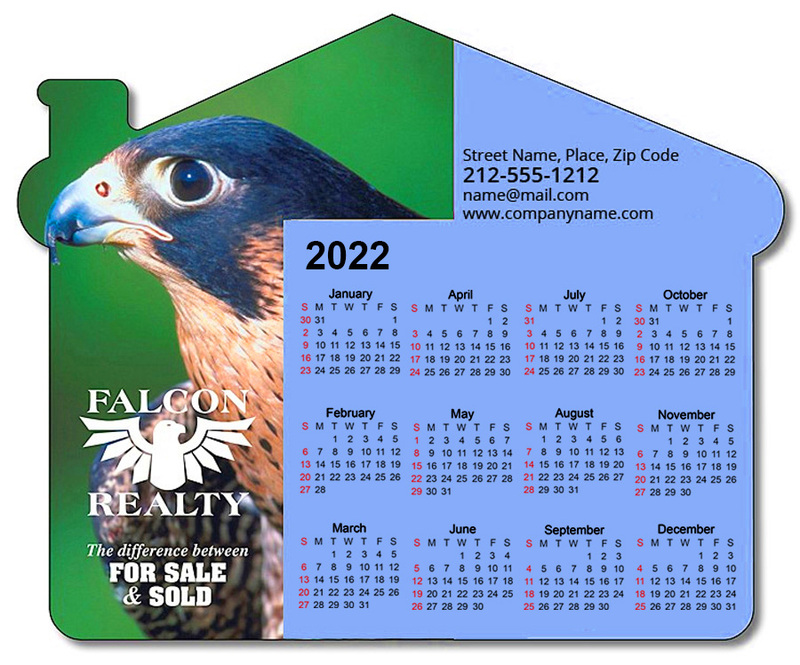 Custom 4.75 x 3.87 house shape magnetic refrigerator calendar adds punch to your real estate marketing campaign. Imprinted with calendar and your contact information, it offers reliability and authenticity to your brand credentials. People love retaining calendar magnets throughout the year for quick reference and added to that being house shaped it may last longer. This house shape magnetic refrigerator calendar stands high chances of acceptance as a refrigerator art. You can avail attractive price savings on bulk orders of this house shape magnetic refrigerator calendar. Request a quote to know price savings that you can avail on customized 4.75x 3.87 house shape magnetic refrigerator calendar.